Welcome to L.A. Are you ready for your beat down? Some people become famous–or infamous–by being a hero, a villain or a victim. Just think; if one man with a video camera had not filmed the L.A.P.D. beating, kicking and clubbing King senseless, it would have as if it had never happened. Blacks would cynically shrug their shoulders and say that’s just what happens when you cross the cops. Whites would remain blissfully ignorant in their confidence that police officers treat all citizens the same and besides, King was an ex-con and high when the cops beat him up. Driving while Black is simply an assumed risk in Urban America and encounters with the police take on different meanings for different communities. For Whites, the sight of a police officer holds the promise of help. For Blacks, police are often a brutal, occupying force. 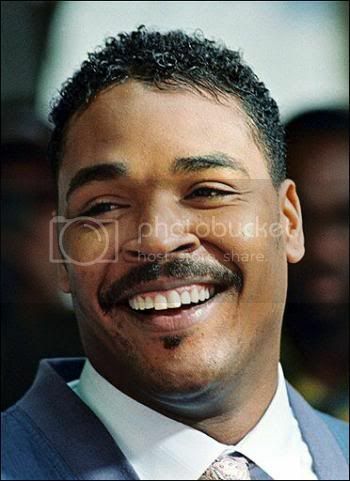 Rodney King was a sad and pitiful man. Despite his endlessly quoted plea, “Can’t we all get all along”, King was not a hero, a cause to be celebrated or a figure to rally around. Was he a flawed human being. Oh, heavens, yes. Perhaps more so than most. Addictions to drugs and alcohol and minor brushes with the law plagued King to the end. There are reports emerging that he had been drinking before drowning in a swimming pool. The word that best sums up King is “tragic.” There are thousands of Black men just like him. 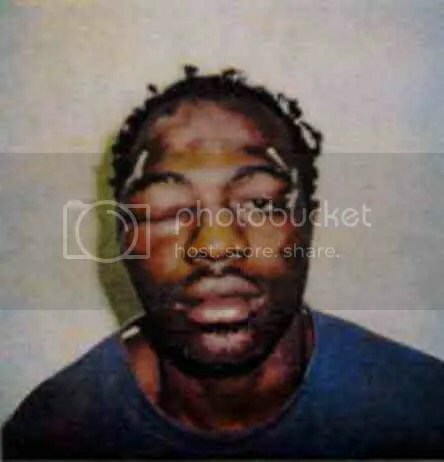 It’s a tragedy how hopelessly a human being can spiral downward, but it seemed King never fully recovered from the beating Stacey Koon, Laurence Powell, Timothy Wind, Theodore Briseno and Rolando Solano inflicted on him. King’s Wikipedia entry is a litany to a man who often seemed incapable of getting out of his own way. In 1993, King entered an alcohol rehabilitation program and was placed on probation after crashing his vehicle into a block wall in downtown Los Angeles. In July 1995, he was arrested by Alhambra police, who alleged that he hit his wife with his car, knocking her to the ground. He was sentenced to 90 days in jail after being convicted of hit and run. On August 27, 2003, King was arrested again for speeding and running a red light while under the influence of alcohol. He failed to yield to police officers and slammed his vehicle into a house, breaking his pelvis. On November 29, 2007, while riding home on his bicycle, King was shot in the face, arms, and back with pellets from a shotgun. He reported that it was done by a man and a woman who demanded his bicycle and shot him when he rode away. Police described the wounds as looking like they came from birdshot, and said King offered few details about the suspects. Even when King tried to avoid trouble, trouble found him. The ability to cash in on being a victim is extremely limited. King lacked the smarts or sophistication to turn his victimization into celebrity. If he had been beaten up by the cops now he’d show up on cable news and The View to yak about it, write a book, and maybe angle for a movie. He did receive $3.8 million from the city as part of a civil suit settlement, but money didn’t change King. He remained a vaguely sad and lost man who found himself forever associated with racism and rioting. Hopefully, this troubled soul will find a degree of peace in death it never seemed to have in life. King healed outwardly, but internally seemed to made of broken glass. I’m a native Angeleno, so I lived through the King beating, subsequent trial and riots. I’ll never forget the sight of marines in flak jackets with their M16s and ammo clips standing guard along Wilshire Boulevard. It was a surreal time. 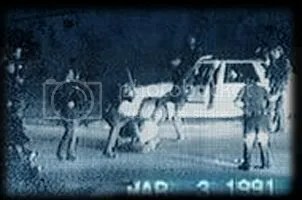 It’s a wonder Rodney King wasn’t beaten to death by those thug officers. Can it happen again? It has. Kelly Thomas, an unarmed mentally ill homeless man was beaten to death by Fullerton, CA police officers after someone put in a call about a man trying to break into cars. The witness who filmed the incident heard him calling out for his father. The issue wasn’t race in this case but the fact that Thomas was mentally ill. It just shouldn’t have happened. At least in that case, the officers were prosecuted and the police chief stepped down, but only after Thomas’s father demonstrated and picketed outside the police station for weeks straight. Rodney King has left a legacy, at least in Los Angeles, of greater oversight of the police department and the way the community views their role. Then-police chief Darryl Gates ran the LAPD as his own Boys Club with an us-versus-them attitude. The face of the LAPD has changed since then with the police commission offering more accountability to the citizens. This has come about largely because of the Rodney King beating. “Can we all get along?” Such a simple but profound statement. It’s the phrase so many people associate with King. I think it’s who he was — a gentle person with personal demons. I hope he is at peace now. Yes, Rodney King was a troubled man with a laundry list of problems. But it seemed that he was finally getting his life together (from watching recent interviews with him). He had a fiancee, and yes, he had written a book about his life “The Riot Within: My Journey from Rebellion to Redemption”. Who knows, a TV deal may have been not far behind. His death seems a tragic, last cosmic joke on him. While he was by no means an admirable man, the horrible beating he took at the hands of the police had at least one positive result: it shined a spotlight on the disparity of treatment of blacks vs. whites, and forced the LAPD to clean up their act, knowing that at any time, someone with a video camera might be watching. May he rest in peace.